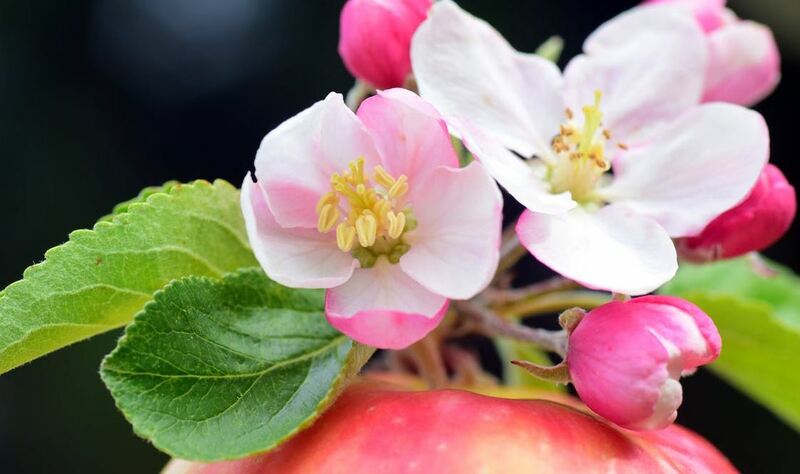 On Saturday and Sunday, April 13 and 14, Sebastopol is hosting their 73rd annual Apple Blossom Festival at Ives Park. The theme for 2019 is “It Takes a Village to Blossom,” in celebration of the diversity of our local community. 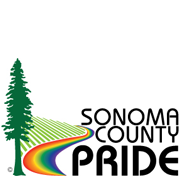 The event starts at 10:00 a.m. and ends at 6:00 p.m.
And while you’re there, stop by the Apple Blossom Festival’s Art Show and Reception at the Sebastopol Center for the Arts. The festivities kick off Saturday morning with a parade and followed by a day’s worth of live music, food, wine, beer, crafts, kids’ games, art show, and more. Saturday’s musical lineup includes Un AmOur Band, Mr. Music, Radar Band, Faith Ako, the Stomp Kings, and Michelle Lambert. And don’t miss the awards ceremony for people who participated in the parade. It’ll be held from 1:30-2:30 p.m. on the Front Stage. On Sunday, this much-loved celebration continues with the festival and the Blues Music Explosion. Musical acts include Joe Louis Walker, Nancy Wright, John Courage, the Black Sheep Brass Band, Burnside, and the Michael Di Franco Trio. Last year’s food vendors included over a dozen local favorites, while the Palace D’Vine Wine Tent featured offerings from over 30 wineries. Dates and Times: Saturday and Sunday, April 13 and 14, 10:00 a.m.-6:00 p.m.
Tickets: $10 adults, $8 seniors and students aged 10-17, FREE for children under 10. Beer and Wine: Beer Tickets $5 each. Wine Tent $20 per day. (You must get a wristband from an ID station before you can buy any wine or beer). 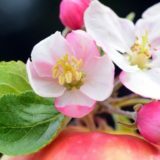 For more information, visit the Sebastopol Apple Blossom Festival’s website. If you’d like to be a sponsor, it’s not too late. Here’s a PDF file with the details. For other events, see our Calendar of Events. 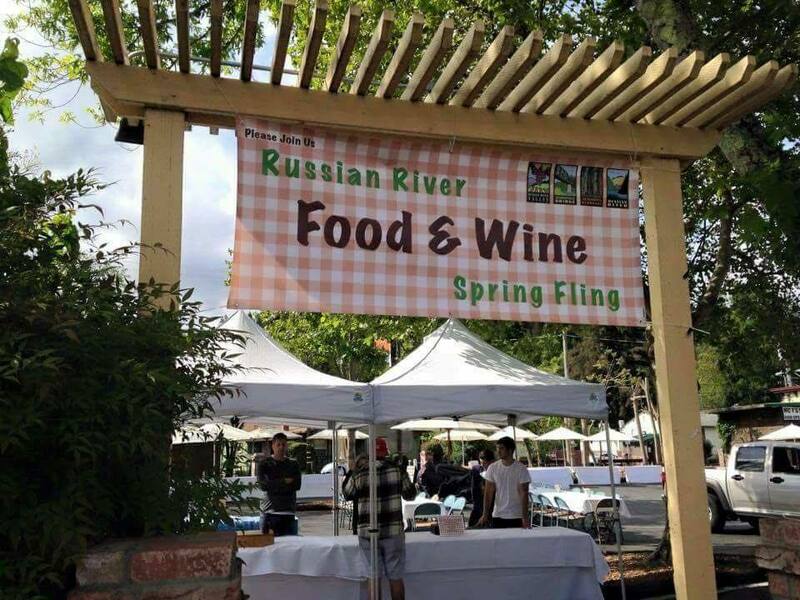 The Russian River Chamber of Commerce invites you to join us for our 2019 Food and Wine Spring Fling. This celebration of local food and wine is an ideal way for us to get together and kick off the summer season. 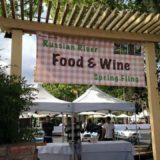 After savoring all our world-class restaurants and winemakers have to offer, you can browse our unique shops and restaurants in the casual and relaxed atmosphere of Guerneville. The price is a very reasonable $50 for unlimited food and wine. Or you can pay $30 for partaking in local cuisine only. And if you’re an eatery or vintner, it’s not too late for you to join us. It costs only $75 (Chamber members) or $100 (non-members) to set up a table. Plus, we’ve got some great special guests. Special Musical Guest: The Thugz. For the latest info and list of participants, keep checking out the Chamber’s event page on Facebook. Their list keeps growing daily. For more local happenings, see our Calendar of Events page. And if you’re traveling from a distance, come and stay with us. Featured Image: Russian River Chamber of Commerce via Facebook.